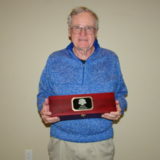 Eight players were crowned champions at the 2019 Tournament of Champions, featuring SNGA and WSNGA play, held at Reflection Bay Golf Club on Jan. 29, 2019. 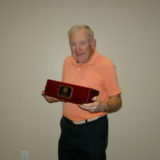 The event featured 70 champions from the SNGA, WSNGA and champions from area clubs. 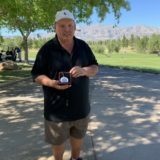 Lorenzo Gillenwater (Championship), Donald Blanton (Net), John Turk (Senior), Chris Boyer (Senior Net), Frank Abbott (Silver), Loren Little (Silver Net), Debbie Love (Women) and Rusty Beckel (Women Net) earned title of “champions of champions.” –By Bill Bowman, Las Vegas Golf Insider staff. 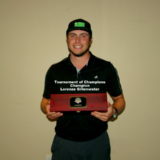 Lorenzo Gillenwater won the Championship Division in a scorecard playoff after posting a two-over-par 74. He said picking up the win in the 2019 tournament opener was a great way to start the year. “Dandy” Donald Blanton’s move to the Net Division for the 2019 year started off with a bang. 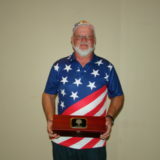 “My new goal is to win the Net Division,” said Blanton, who won the 2017 and 2018 Senior Net year-long championships. He added his victory, also in a scorecard playoff, is a great beginning. To that end, he was proud of one fact. “For one of the rare times I had all the golf balls I started out with at the end,” he said. 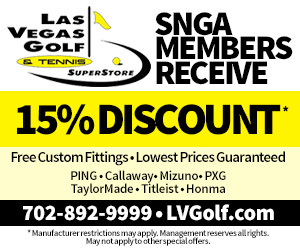 While his golf game keeps improving, there’s one aspect he knows still needs work. 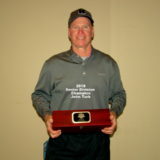 John Turk posted a four-stroke victory in the Senior Division as he overcame a quadruple bogey 8 in posting the victory. Turk had it to five-under-par in an early-round stretch that included five birdies in his first seven holes. 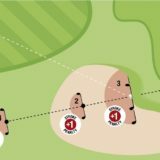 He was at 4-under as headed to the first hole (his 13th of the round) and then came the quadruple bogey. He said everything, except his 3-wood, clicked for him. “And obviously I putted very well,” he said. He won three times in six events in 2018 despite having to miss the first four months of the season. “It’s nice to be able to play early and get off to a good start,” he said. Chris Boyer is back in the winner’s circle after having won in Summerlin in March of 2018. He said the day was perfect for everyone. And his trouble shots–and his finish–also helped. “I had a couple of tough bunker shots but managed to get them up and down,” he said. “And I birdied the last hole so that was icing on the cake,” he said. Frank Abbott took up right where he left off in 2018–in the winner’s circle. Abbott won seven times in 2018 including the season-finale at Cascata. Abbott said the drive to win is still high for him every time out. 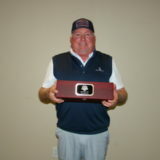 It was crowded at the top of the Silver Net leaderboard as Loren Little won a three-way scorecard playoff. Little, Mark Dopheide and Larry Keever each shot even-par72s. 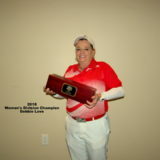 Debbie Love battled a balky driver but still breezed to victory in the women’s gross title with a four-over-par 76. She had five birdies on the round including a hole-out from a bunker. 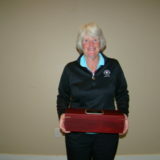 Rusty Beckel, a co-captain and player for the South team in the 2018 Silver Cup, won by a stroke in the Women’s Net Division. Her start to the round helped get her to that relaxed state.